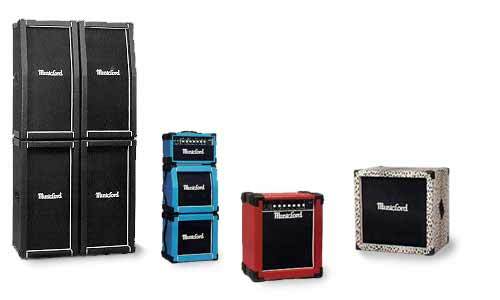 Musiclord, as an amplified music products manufacturer, strives to produce durable products, with excellent sound quality, that range in size and appearance. Hand made cabinets and amps with custom coverings are our specialty. So set yourself apart from everyone with a variety of bright colors and exotic patterns, or we have the standard black and white if you prefer. It is also important that our products are still affordable to the musician. For your performing needs, try a Musiclord product at your dealer and hear the sound of the future today.